1. Japan Airlines started operating in 1951. Japan Airlines was the first Japanese airline being re-established after the Second World War and became the national carrier only 2 years later in 1953. Originally Japan Air Lines was founded in 1925 and 4 years later in 1929 merged with Nihon Koku Kabushiki Kaisha. On October 10 in 1951 the airline officially started service again with flights from Tokyo Haneda to Osaka on a Martin 2-0-2. The piston-engined powered plane had a capacity of up to 40 passengers and would be the back bone of Japan Airlines fleet for the first few years of operation. 2. First International flight to San Francisco in 1954. On February 2nd in 1954 the Japanese Airline launched its first international flight from Tokyo to San Francisco on a DC-6. The plane would need to make 2 stops to refill, one on Wake Island and the other one in Honolulu before undergoing its final leg to California. Only one day later Japan Airlines introduced services between Tokyo and Hong Kong with a stop in Okinawa. 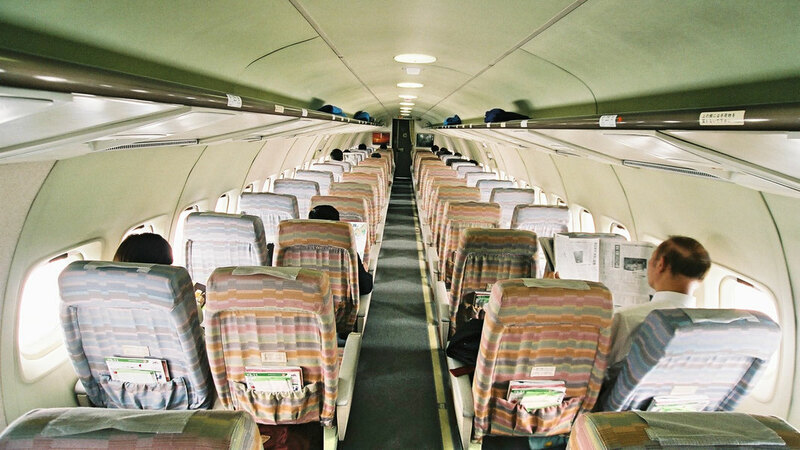 The Douglas DC-6 was one of the most successful post-war planes and could carry up to 60 passengers as far as 6,000km without needing to refill. 3. 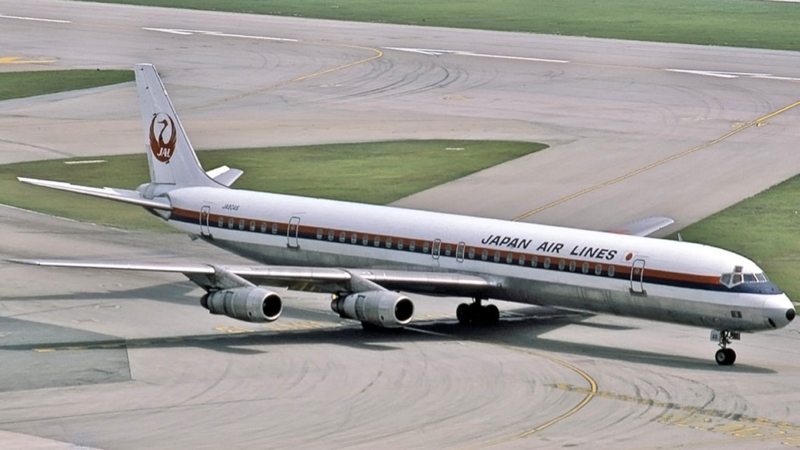 Japan Airlines first Jet was a DC-8. In 1960 the Japanese Airline received its very first Jet, the DC-8. The plane would replace the DC-6 operating the Pacific route between Tokyo and San Francisco. In the next decades JAL would operate more than 50 DC-8's of all kinds making it the backbone of its international fleet. The airlines first DC-8's nose section is at display at the JAL Sky Museum in Tokyo since 2014 and can be visited. The second jet to join the fleet was a Convair 880 which was initially used on flights to Europe with a stop in India. 4. JAL ordered 3 Concorde Airplanes, which never arrived. On September 30th 1963 the Japanese flag carrier ordered 3 Concorde supersonic passenger jet which could travel over twice the speed of sound. Japan Airlines was the only airline in Asia, together with Air India, to order the jet. The stock market crash in 1973 and the oil crisis the very same year made the JAL management cautious about purchasing an airplane with a very high oil consumption. The airline cancelled it's orders for the Concorde. Air France and British Airways were the only airline to ever operate the Concorde. After the 2000 Air France Concorde the entire programmed was discontinued and the last super sonic passenger jet was retired in 2003. 5. The First International Airline to fly to China. Traditionally Japan and China have rather complicated relations, so it's even more surprising that a Japan Airlines McDonnell Douglas DC-10 was the very first wide-body aircraft that was allowed to land at Beijing Airport on March 7 in 1980. In 2017 JAL operates 13 routes from Japan to Chinese Mainland destinations such as Shanghai, Guangzhou or Shenzhen. 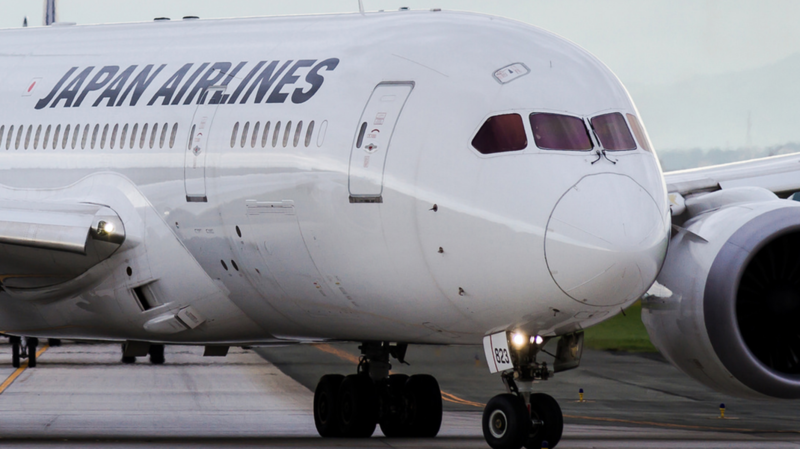 In order to gain landing rights in China, Japan Airlines had to stop operating flights to Taiwan as a flag carrier. In order to re-start flights to Taipei, JAL established a subsidiary airline called Japan Asia Airways to continue flights to the disputed nation. 6. JAL declared Bankruptcy in 2009. In early 2009, Japan Airlines suffered huge financial losses, despite being Asia's largest airline by revenue though. As a result, JAL embarked on staff cuts and route cutbacks trying to reduce costs. The airline also received 100 billion through capital injection and credit from the Japanese government to keep the airline going. In September 2009, Japan's Ministry of Land, Infrastructure, Transport and Tourism formed a task force to cut costs and find potential investor to re-launch the airline. It was also suggested to merge with ANA, Japanese biggest airline, which was quickly declined by ANA. 7. 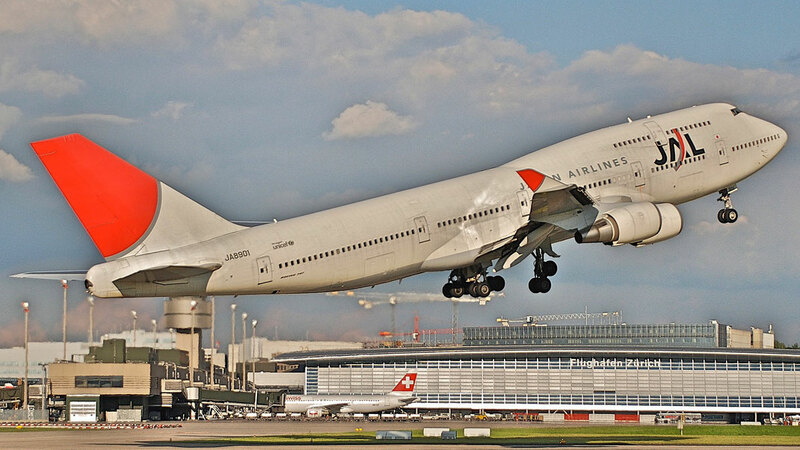 Japan Airlines was the first 747 customer in Asia. The Japanese Airline was the first 747 Jumbo customer in Asia, receiving its very first "Queen of the Skies" in 1970. JAL was also one of Boeing's biggest and most loyal 747 operators. In 41 years the airline operated 112 'Jumbos' of all kinds, including freighters. In the early 2000's most airlines turned away from the big four-engined airplanes in order to purchase more fuel-efficient airplanes, such as the 787 Dreamliner or the new Airbus A350 to maximise profit. On the 1st of March 2011 the last 747-400 flight JL75 took part from Honolulu, Hawaii to Tokyo Narita Airport with 421 Passengers and 20 Crew on board. 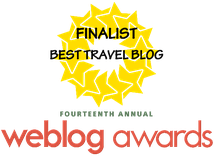 Watch the Video of the last flight here. 8. Asia's largest Boeing 767 operator. The Tokyo based airline is also the biggest 767-300 customer in Asia and the 4th largest on earth. The 767-300ER is the current backbone of Japan Airlines with 40 airplanes operating on domestic and international flights. This Boeing version was the first fly-by-wire aircraft, utilizing electric signaling instead of traditional control cables and hydraulic. The fly-by-wire system reduces weight and allows independent operation of individual spoilers. Other popular 767 operators are Ukraine International, American Airlines or Hainan Airlines. 9. Japan Airlines has the best Economy Class seat. At the 2017 Skytrax Awards Japan Airlines won in the category "Best Economy Class Seat" and finished 6th in "World's Best Economy Class", ahead of Emirates and just behind Singapore Airlines. If you happen to board one of 161 Japan Airlines airplanes with a total of 27,868 Economy Class seats, you'll be curtain that you are always getting the best seat in the world. 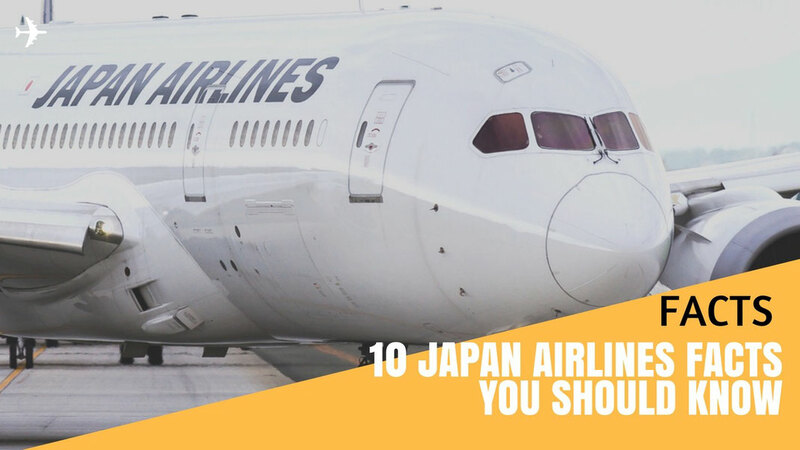 In the overall Top 100 Airlines of 2017 Japan Airlines ranked 16th behind Qantas. 10. Tokyo Haneda is the fifth busiest Airport on Earth. Japan Airlines main-hub, Tokyo International Airport is the fifth busiest in the world and third busiest in Asia. Haneda handled 75 million passengers in 2016 and literally makes it the third busiest city in the world by passengers combined with Tokyo Narita Airport, which handled 40 million travellers in the same year. Only London and New York have seen more traffic in 2016 than the Japanese capital. Tokyo is due to host the 2020 Summer Olympics and the city plans to extend the airport for the event as well.